Today I wanted to share with you this adorable H letter wall decor I made for our daughters upcoming Big Girl Bedroom. Our daughters favorite color is pink so although I will be using other colors in the bedroom I wanted to have pink accents like this around the room. I saw tons of ideas on Pinterest for decorated letters but most were painted and some decorated with tulle. 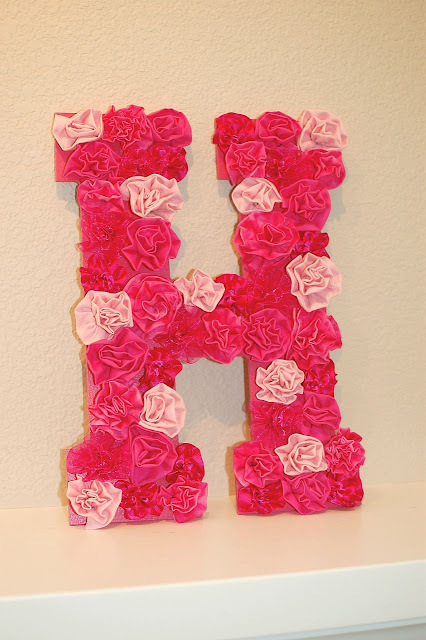 I decided to use fabric flowers to decorate the H to give it some dimension and to make it stand out on the wall. If you are looking to make a similar letter the steps are simple. The most time consuming thing is making the flowers. To start get a letter cut out of some sort, you could even use card board if you wanted. I bought this wooden H at Michaels. Next spray paint the letter or use acrylic paints to paint it. Make the fabric flowers using this tutorial. Then lay the flowers on the letter and arrange them how you would like and glue them down. This is absolutely lovely. I have always wanted to make one of these for my daughters room and now you have inspired me to give it a try sometime. Thank you very much I really appreciate that and a huge thank you for following :) I will do the same for you! This is really, really pretty! 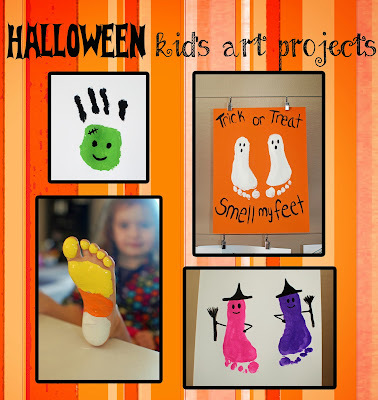 Love this idea--thanks so much for sharing this tutorial! I'm your newest follower on GFC. Love this! Do you have an Etsy Shop? Thanks for sharing on the Fluster Buster Linky party! Thank you again for stopping by! Have a great week! Love it! My 6 and 4 year old would love to have one of these. Thanks for the tutorials! I will be following on GFC and FB! Thank you very much for the sweet comments and following. I will do the same. Cute idea to do a floral monogram! I am helping my friend with her daughters 'big girl' room (I have two little boys:) so it is fun to look out for all things pretty and girly!! Very cute! I have all boys, but I'm thinking it might look good in my craft room. Thanks for coming by and partying with us at Fluster Buster's Creative Muster. Very pretty. I would look fantastic in my daughter's room. I pinned it. Thank you very much! I bet she would love it! This is so pretty my daughter Lily would love an L.
I so want a girl to make this for! Super cute!! 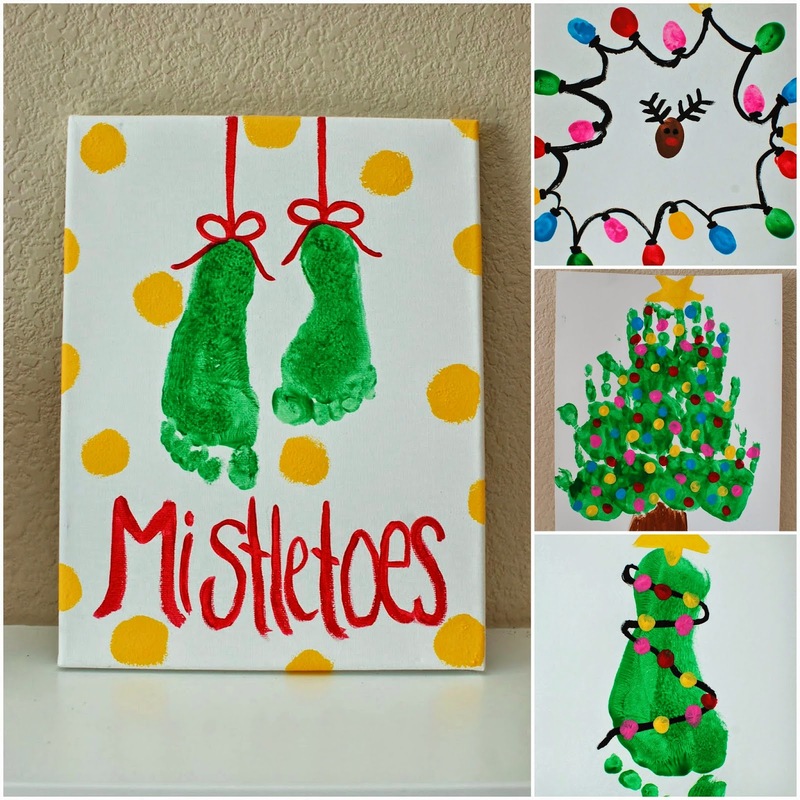 Stopping by from crafty-thursday-obsessions. Thank you very much! Girls are so much fun! Oh how cute is that! Thanks for sharing with us this week! Nicole! My daughter would LOVE one of these in her room!